Scientific research indicates that certain proven strategies can enhance social marketing efforts. Healthcare marketers are striving to improve their social media efforts. There are a lot of varying strategies espoused, making it difficult to know which ones are most effective. Social networking is certainly not a proven scientific endeavor. There are some basic competencies required, but it also involves some degree of art, intuition and luck. Dan Zarrela describes himself as an award winning social, search and viral marketing scientist. He is the author of several books and numerous articles about social media. He is a noted student of social marketing and is recognized as a knowledgeable expert. 1. Experiment with different strategies to discover what works. Conduct your own research. Try different things and learn what is most effective for your hospital. 2. Audience size is important. Certainly you want a quality audience but quantity is very important. Hospitals need engaged followers but also need a large number of them. 3. Find and target your influencers. Among your fans/followers there are key influencers. Usually it’s those who were early adopters of social media. Extra attention and care should be given to them. 4. Bigger and louder works – to a point. It’s possible to yell over the social media clutter but only for a limited time. If you yell too much, you will be tuned out. 5. Personalize the conversation with your audience. Make it personal and authentic. Everyone likes hearing his or her name. And to be the center of attention. Know that! And use it to your advantage. 6. Avoid link fatigue. Don’t wear your audience out with too many links. Your audience will grow tired and lose interest. 7. Make your brand cool. I know that’s somewhat difficult for hospitals but find ways to help your audience improve their reputations and status by being associated with your brand. 8. Avoid information voids. Rumors and misperceptions form when there is a lack of information. Always get out in front of every potential crisis. 9. Don’t talk too much about yourself. Take it easy on yourself. No one wants to be engaged in conversation with someone who talks about himself all the time. How boring is that! 10. Use call-to action. As is true with every type of marketing, you ultimately want your audience to take action. Compel your audience to do so. And make it easy for them to do so. 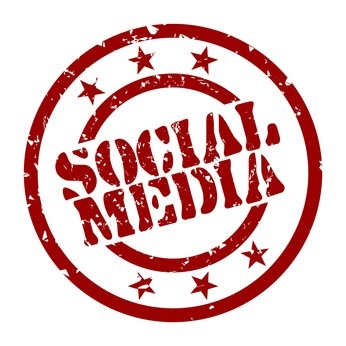 Healthcare marketers are still learning when and how to do social marketing effectively. And we are learning more and more everyday. Trial and error and experimentation will teach us a lot. But learning from those who have experience and who are avid students of social media can certainly improve our learning curve. That’s why tips listed here are so very helpful. ← Healthcare Marketing: Moms Have Changed… Has Our Marketing?